Seventh Street Books, 9781633881303, 329pp. Adrian McKinty is the author of eighteen novels, including the acclaimed Detective Sean Duffy novels. 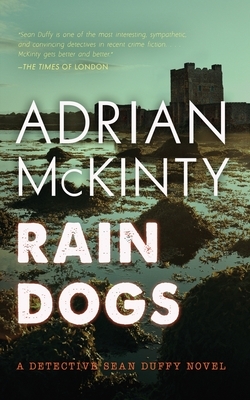 Rain Dogs won the 2017 Edgar® Award for Best Paperback Original. Gun Street Girl was shortlisted for the Anthony, Ned Kelly, and Edgar® Awards. The Cold Cold Ground won the Spinetingler Award. I Hear the Sirens in the Street won the Barry Award and was shortlisted for the Ned Kelly Award. In the Morning I'll Be Gone won the Ned Kelly Award and was selected by the American Library Association as one of the top-10 crime fiction novels of 2014. McKinty is also the author of the standalone historical The Sun Is God. Born and raised in Carrickfergus, Northern Ireland, McKinty was called "the best of the new generation of Irish crime novelists" in the Glasgow Herald. WINNER! EDGAR® AWARD for BEST PAPERBACK ORIGINAL!